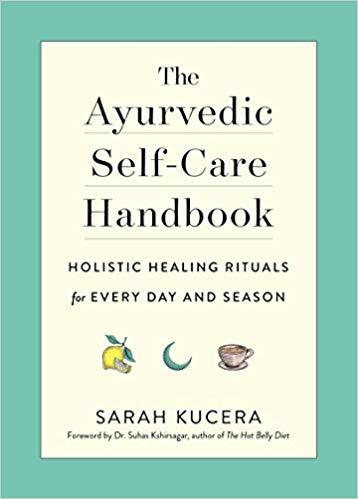 The Ayurvedic Self-Care Handbook: Holistic Healing Rituals for Every Day and Season. In Ayurveda, the word swastha is used to describe one who is the healthiest, fullest and most balanced version of his or herself. One achieves this not by exercising as often as possible and drinking all of the superfood smoothies they can get their hands on, but rather they achieve this through a practice called swasthavritta, or the duties required to maintain health. Swasthavritta might sound like what Western medicine calls preventive medicine, but it has many components that aren’t always accounted for in our modern wellness practices. Swasthavritta includes daily routine (dinacharya), nightly routine (ratricharya), seasonal routine (ritucharya), occupational duties, observances in sexual conduct, ethical codes and conduct for societal well-being (sadvritta), regimens to prevent premature aging, and practices to achieve self-realization (such as spiritual practices like prayer). It is stated that the inclusion of all of these components is essential for health. The pieces and parts of routine in Ayurveda are unique, detailed, consisting of things like physical hygiene–tongue cleaning, dry brushing, oil massage, mental hygiene–meditation, yoga, and physical and dietary health-exercising and eating according to how you feel and the season. How we time and design our day is also important. Such as waking with the sun, eating our biggest meal for lunch, and winding down as the sun goes down. Not only does Ayurveda believe daily, nightly, and seasonal routines to be the foundation of health, but Western medicine is also starting to discuss how paramount routine is for our well-being. 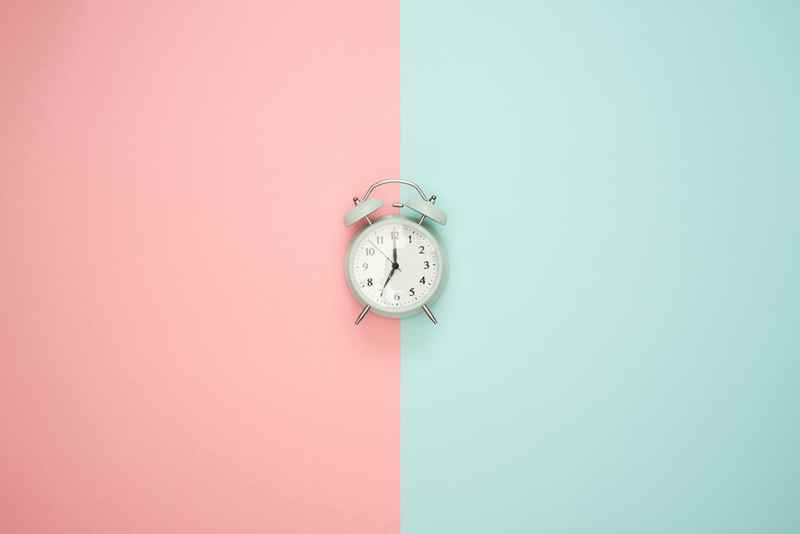 Circadian rhythms are used to explain how keeping an appropriate bed and wake time is essential, and eating consistent meal times has been shown as a reliable way to reset your internal clock—a vital part of staying healthy. There is also current psychological research concluding that rituals are important for giving us a stronger sense of self-discipline and self-control, along with proving that the implementation of routines helps us attain our personal, professional, and health-related goals. So if both ancient and modern medicine agree that routine is key for staying healthy, what happens when you feel the characteristics of your dosha aren’t supportive of you in this quest to live healthier, or if you feel like a healthy relationship with routine just isn’t in your nature? While your prakriti (constitution) serves as the blueprint for your physique, physiology, and psyche, it can also predict—and relatively well—what your reactions, strengths, and struggles will be, as you attempt to incorporate routine into your life. You might feel like routine suffocates you while others feel it’s what makes them thrive. Or perhaps you really like routine, but it’s easy to get stuck in your ways. Whatever that visceral feeling is that you get at the mention of the word “routine” is something your prakriti can account for. The vata predominant person can benefit most by routine, but it also has the most difficulty maintaining one. The natural tendency of the vata predominant person, or the nature of the vata elements—ether, and air, is to spread in many directions. When this is your primary constitution, you seek experiences, enjoy options, and live for spontaneity and change. Thus, the mere suggestion of giving structure to your day or repeating the same thing each day can feel restraining, perpetuating a vata dosha, or imbalance. But when you have consistency and anchors in your life, you ultimately recognize and embody a stable and grounded feeling that is so balancing to you. Embracing routine is especially important for vata constitutions, but the key is to start small. Choose one action item, and practice it consistently as possible for two weeks. This will support vata dosha, or vata imbalances Throughout the two weeks, document the way you feel so that changes don’t go unnoticed. Journaling will also serve as a reminder of how important this process has been for you if you start to fall off track. Choose a mantra for yourself, such as “structure gives rise to energy and space for spontaneity,” when you feel resistant to upholding your routine. The pitta dominant person likes to achieve things and will always bring their “A” game. With that, they tend to enjoy guidelines, organization, and anything that could allow for more efficiency and effectiveness in their day. As a part of this, if you tell a pitta person to do one of something, it wouldn’t be unusual for them to do ten instead—so when it comes to routine and structure, there is a risk of becoming too stringent or rigid. Since pitta is made of the fire and water, element, there is an inherent sharpness. It’s this trait that has to be kept in check. Made of the elements of water and earth, the kapha dominant person doesn’t typically have to worry about becoming scattered, but rather becoming too stagnant. Though they enjoy routine and structure as their pitta friends do, for kapha it isn’t as much about productivity, as it is about steadiness and security. If your primary constitution is kapha, you might be reluctant to change—be it too much work or a source of discomfort, but this can put you at risk of accumulating a heaviness that will make you feel unwell. You should be applauded for sticking to your routine, as it’s not easy to do, but a shake up every now and then will do you well. Though a routine can benefit us all, we all have different needs and thus, different approaches. Our doshas can make things feel seamless, as much as our dosha can make things feel more difficult. All we can ask of ourselves to be is open to learning, self-study and always be doing the best we can. Dr. Sarah Kucera is a NAMA-certified Ayurveda Practitioner, Chiropractor, and yoga teacher in Kansas City, Missouri. She owns a healing arts center called Sage in the heart of downtown, where she integrates these practices together and is the author of The Ayurvedic Self-Care Handbook: Holistic Healing Rituals for Every Day and Season. Disclaimer: The views expressed in this article intend to highlight alternative studies and induce conversation. The information is not intended for use in the medical advice, diagnosis, treatment, cure or prevention of any disease, even if and to the extent that this article features the advice of physicians and medical practitioners. please consult a trained health professional who can fully assess your needs and address them effectively. Check with your doctor before taking herbs or using essential oils when pregnant or nursing.